The ultimate in unique wedding bands. Timoku is one of the crowning achievements of Edward Mirell, leading designer and innovator of titanium jewlery. 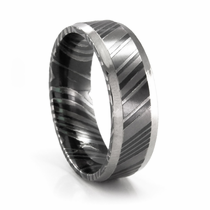 Timoku is made by layering thin sheets of gray titanium and black titanium and heating them to an extreme temperature while under pressure. This fuses the layers together. The result is a unique pattern in the metal. Each ring will be different. The patterns look like the banding of a tree, and symbolize the joining of souls. Click to Read More. 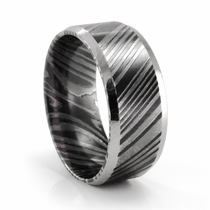 If you want a ring that mixes natural styles with modern materials, the Timoku ring could be the perfect fit for you. 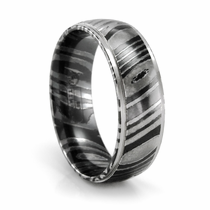 This is a unique and rare type of wedding band that most grooms haven�t even heard of yet. 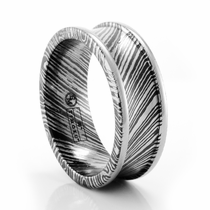 That means you�re more likely to stand out from the crowd when you wear a Timoku ring. 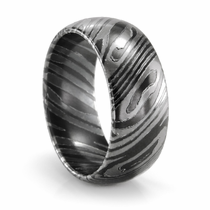 The distinctive Timoku look is crafted by Edward Mirell, the innovator behind this stunning wood grain metal. 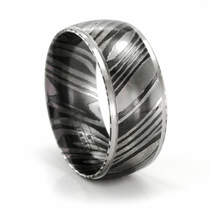 It�s made by layering thin sheets of gray titanium and black titanium and heating them to an extreme temperature while under pressure, a method inspired by centuries-old Japanese technique called Mokume Gane. 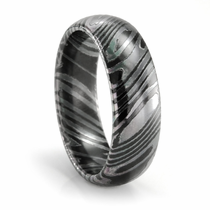 The result is fused layers that create a unique pattern much like the banding of a tree; no two Timoku rings are alike due to the natural fusing process. It�s a breathtaking look that�s sure to attract lots of attention. The unity found in the seamlessly fused layers of a Timoku ring is more than just beautiful, however. 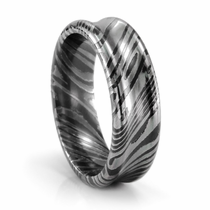 Many couples find deep symbolism in the tree-like banding of the Timoku pattern. 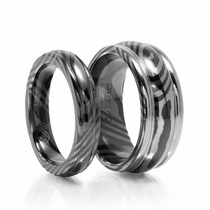 The inseparable layers are considered to represent the joining of souls that occurs through marriage. 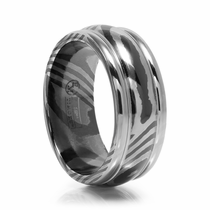 Though there are distinct individual layers, they become one in each Timoku ring. That lends even more meaning to the exchange of rings during your wedding vows. A Timoku ring could also make for a thoughtful gift for anniversaries and other important events in a couple�s life together. 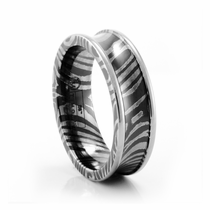 At Titanium Jewelry, you�ll find a number of Timoku ring styles. 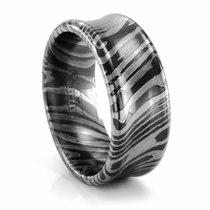 Many grooms choose these attractive and meaningful rings for their wedding vows. 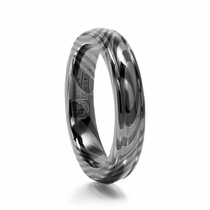 Whether you want a wide wedding band or a narrow one, you can find it in this collection while still getting the distinctive wood grain appearance. 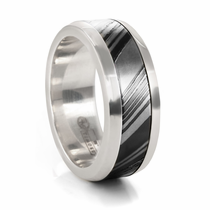 You�ll also find men�s Timoku rings with unique features, such as concave wedding bands or those with a drop edge, a beveled edge or a ridged band. Browse the full collection now and picture how stylish one of these wedding rings will look on your finger. Learn more about TIMOKU here. 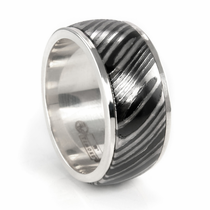 Customer rating for TIMOKU by Titanium Jewelry Titanium Rings: 5 of 5 based on 40 customer reviews.